I love soft, melty, buttery cookies. 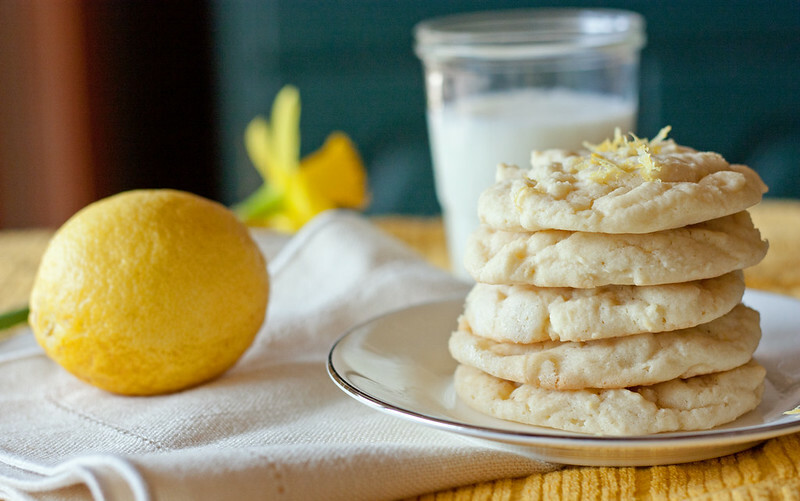 And these lemon cookies do not disappoint. They’re versatile, really, because you can cook them on the shorter side and end up with melt-in-your-mouth treats, or just a little longer and you still get that crispy, flakey texture. They come together very quickly, don’t require complicated ingredients, and they stay fresh for days! I think. I wouldn’t know, actually, because they were gone within a day at my house. They probably will be gone at yours, too. Unless you have willpower stronger than steel. I even ate one for breakfast. I lied. I ate two for breakfast. Preheat the oven to 350 degrees F. In a medium bowl, whisk together the flour, corn starch, baking soda, and salt. Set aside. 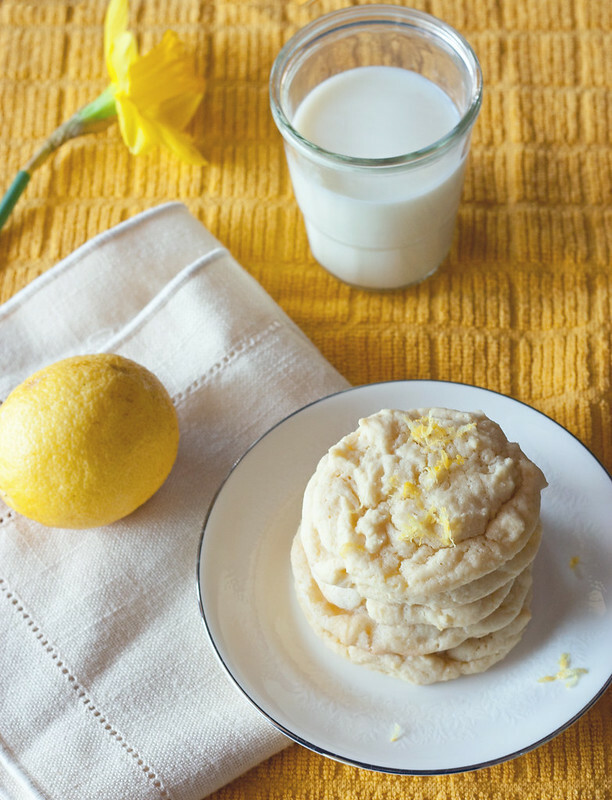 In the bowl of an electric stand mixer, combine the butter, sugar, and lemon zest. Whip together until light and fluffy, about 3 minutes. Mix in the egg and egg yolk, then mix in the lemon juice and vanilla extract. Slowly add the flour mixture until just combined. On a baking sheet lined with parchment paper, scoop out large tablespoons of cookie dough. Leave about 2" of space between. Bake for about 9-11 minutes. Allow cookies to cool for a few minutes on the baking sheet, then move to a cooling rack to finish cooling. I love anything lemon flavoured, your cookies look and sound delicious! Making these today – thanks! Thinking I will also try them with lime. Wonder if kumquat cookies would taste good. They have the tangyness of lemon. I will try this recipe. LOVE lemon cookies. I may substitute coconut oil for the butter to reduce the sat fat content. I’ve had success doing that. i just pulled the first batch out of the oven and they were absolutely delicious. thanks for sharing the recipe, cant wait to try some others. I’m making these for my GreenPeace bake sale this Wednesday at my high school – hopefully people like them!